The Tropico series can easily be compared to EA’s FIFA. Each update adds a handful of new features and has a spot of fine tuning under the hood, but these improvements alone aren’t enough to prevent more than a passing resemblance to its predecessor. Sim City went leaps and bounds from one iteration to the next. In comparison, Tropico has progressed in baby steps. But here’s the thing. And it’s a pretty major “thing” – the foundations Tropico 5 is built upon are rock solid. 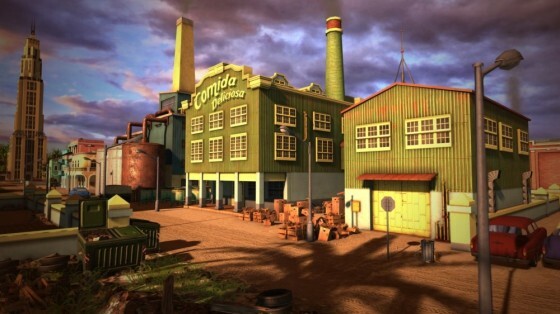 Visually it’s starting to look a little dated, but as series veterans will already be aware the engine for the Xbox 360 versions of Tropico always favoured performance over beauty. You’ll find none of the restrictions that plagued last year’s Zoo Tycoon here – it’s possible to plan, build and tinker to your heart’s content. 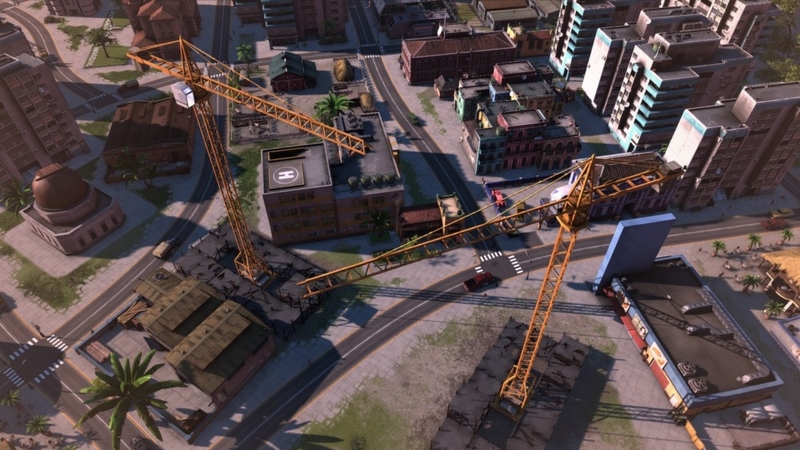 Developer Haemimont knows their city building sim well, refining Tropico 5 to the point where the campaign mode is easily the best and most accessible yet. The majority of campaign missions take well over an hour to complete and the objectives that they feature are pleasingly varied. The first few quests simply involve setting up your own ‘banana republic’ so that it can survive without handouts from other countries. Once stood on your own two feet, you’re soon faced with such challenges as building an army to fend off enemy invasions and becoming a shipping mogul by exporting luxury goods all over the world. 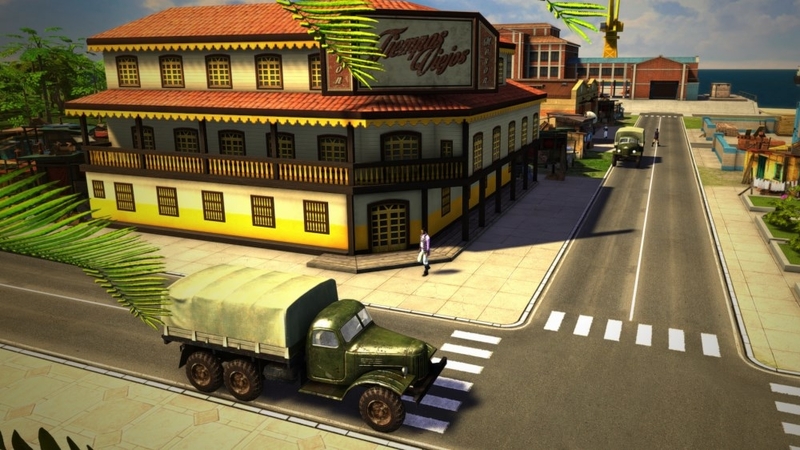 While Tropico 5 may not to be much to look at, there’s plenty going on behind the scenes. For starters, the humble townsfolk don’t materialise out of thin air. It’s entirely possible to observe their arrival on your sun drenched island – either via ship or airplane – before finding a place to live and seeking employment. Stalkers, if nobody else, will be in their element. If no accommodation is available shanty towns will start to appear, ruining the serenity of the island in the process. A lack of jobs meanwhile leads to anger and poverty. If quality of life continues to deteriorate then the population swiftly turns against the government, torching buildings and hurling petrol bombs at the palace belonging to El Presidente – your customisable persona. One of the few new features is the ability to raise an heir. New additions to the family tree can then be sent overseas on missions or forced to manage a business of your choosing. Managers can boost job satisfaction for all employees, reduce the amount of pollution in the vicinity and also help to sneak cash into your Swiss bank account. This ill-gained money can then be spent increasing El Presidente’s perk-bestowing skills. As time passes the population’s demands and expectations change. Begin a game in the early 1900s and the townsfolk will quite happily spend their days working in farms, plantations and sweatshops. As years pass though they’ll start to become disgruntled, demanding better jobs. Farms can be replaced with smaller, more economic, hydro plantations while it’s also possible to build towering office blocks, pharmaceutical factories and more. As they require an educated workforce, colleges, schools and libraries have to be built beforehand. On top of all this, other needs of the population have to be met. Hospitals, police stations, clinics, churches and places of entertainment each serve a specific purpose, boosting liberty, life expectancy and more besides. The entertainment sector in particular has potential to be highly lucrative. Good old manual labour isn’t the only way to keep your population in employment and out of debt – it’s possible to set up holiday resorts too. Place hotels, restaurants and half-a-dozen money making entertainment businesses – which vary from stadiums to a cineplex – along the coast and money will start rolling in. Edicts can then be activated for tourism campaigns and once a stadium is built the Olympic Games can be held, boosting business no end. If the kitty is getting low an edict can prevent debt but at a cost that’s not always obvious. For instance, legalising substances will boost tourism but upsets religious parties and harms foreign relations. Those well versed with Tropico will instantly notice that numerous buildings have been altered, both cosmetically and in terms of functionality. The food bank is now a grocery store while the quaint little movie theatre is now a sizeable energy guzzling cineplex. A few buildings from previous games – particularly in the entertainment and tourism sectors – have sadly been omitted altogether, including the aqua park and rollercoaster. In some instances there are alternatives – the hot air balloon ride has been replaced with a hang gliding excursion – but these changes don’t really add anything to the overall experience, again highlighting just how many of the new features are in fact pretty trivial. Online play is by far the biggest new addition, offering both co-op and competitive modes. Based around completing 15 randomly selected objectives before the other player, competitive mode is the most engaging out of the two. Players share the same island – thus giving the chance to spy – while the objectives vary from exporting certain amounts of goods to simply building small amounts of houses and businesses. Objectives like these can be achieved in almost no time at all, funds to finance the ‘quick build’ option permitting. Generally competitive matches last around 20 minutes. Sometimes less if players agree to share resources – a nice little touch. We found it incredibly hard to get into a multiplayer game though. In fact, it wasn’t until Tropico 5 had been out for a couple of weeks that we finally managed to find another player online. The amount of time spent sat in empty lobbies beforehand was untold. The Tropico games always manage to lure us in with the chance to create and manage our very own idyllic island. They never fail to make good on their promise, but over the years (this is the third Tropico game on Xbox 360, if you weren’t aware) that lure has become slightly less attractive. A next-gen reboot would benefit the series massively. Until then, this is a sturdy if rather familiar entry into a series that more people should try. 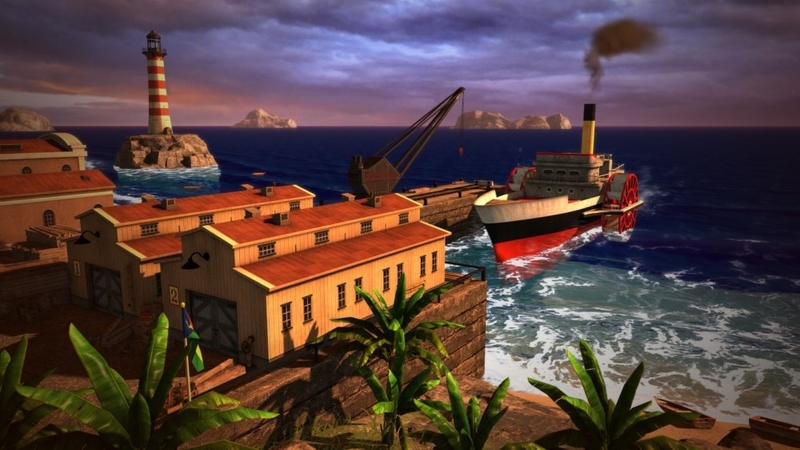 With Tropico 4 now available for around £10 though, we aren’t entirely convinced this is the best way of doing so.